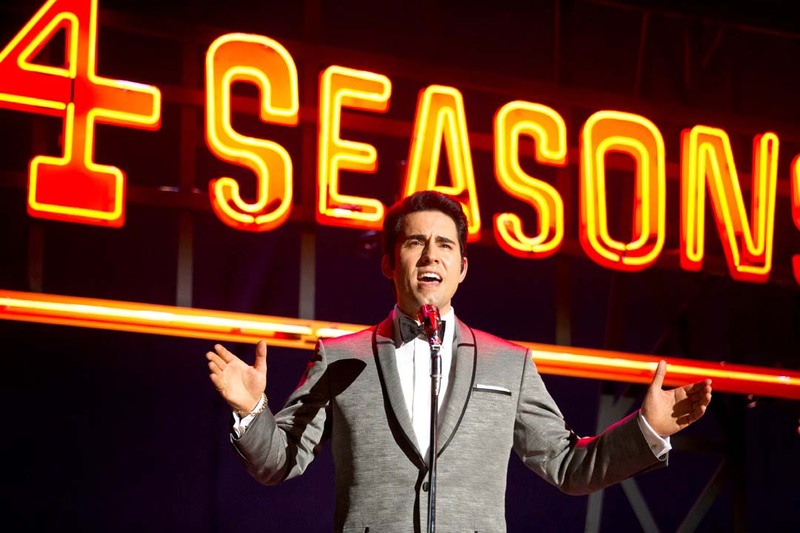 The official trailer for Jersey Boys has finally been released and it’s made us even more excited for the big-screen adaptation of the Broadway musical! Directed by Clint Eastwood, Jersey Boys tells the story of four men from the wrong side of the tracks in New Jersey who came together to form the iconic 1960s rock group The Four Seasons. 1. 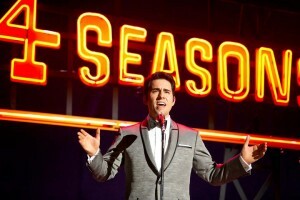 John Lloyd Young is reprising his Tony Award-winning portrayal of Frankie Valli. Okay, we may have known this before seeing the trailer but it’s now clear to see just how well he embodies the role. After all, who is better to play the legendary lead singer on the big screen than the man who played him night after night on the Broadway stage? 2. The music! It is hard not to be excited when you hear those opening harmonies of the band’s hit song Ragdoll at the beginning of the trailer; by the time Big Girls Don’t Cry kicks in, you’re fully in the spirit of the swinging 60s! 3. They break the fourth wall. The original stage musical consists of each member of The Four Seasons speaking directly to the audience as they recount their version of what happened during their time in the band. The fact that the film is remaining true to this technique gives it a more personal touch and involves the audience in the story almost immediately. 4. Clint Eastwood. To be honest, we knew from the moment that Eastwood’s name was connected to the film that Jersey Boys was on to a good thing. 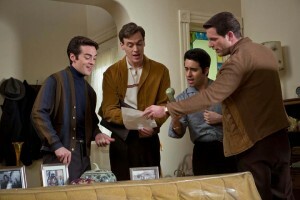 The Oscar-winning director is not one to steer clear of the nitty gritty and it’s obvious from the trailer that he isn’t turning Jersey Boys into a glossy, happy-ever-after musical. Instead, the film will remain true to the story – warts and all! 5. It’s JERSEY BOYS! All in all, the film is looking like a pretty great adaptation that is staying incredibly close to the stage musical’s plot and format. Why is that a reason to be excited? Well, because it means that you can now experience the enjoyment of the stage show for a fraction of the theatre ticket price! And once the film comes out on DVD, you can dip into the world of Frankie Valli and The Four Seasons over and over again in the comfort of your own home. Now, what is there not to love about that?! Jersey Boys is in UK cinemas from 20 June 2014.